Pharmacy technicians dispense prescription medications and other healthcare products under the supervision of a licensed pharmacist. Technicians must be willing to take directions, but often, the job requires them to take initiative and work competently on their own. 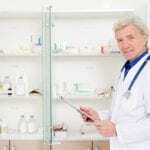 After receiving and confirming prescriptions, calculating dosages, counting, mixing, or pouring medications, and packaging and labeling the medication for dispensing, the technician must sign off on the order and have a pharmacist check the prescription before dispensing to the customer. The critical nature of the job requires precision, attention to detail, and conscientiousness. In 2016, the U.S. Bureau of Labor Statistics predicted a 9 percent growth in employment for pharmacy technicians. The positive job outlook is partly due to greater demand for prescription medications and common pharmacy services. 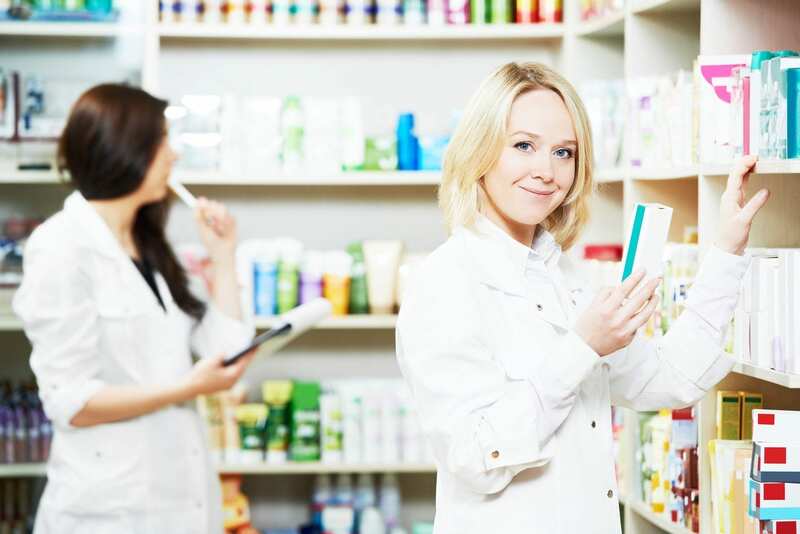 Pharmacy technicians work in home health care, hospital pharmacies, community pharmacies, nursing homes, and insurance companies. The entry-level salary for certified pharmacy technicians is $30,920 annually or $14.86 per hour. The Pharmacy Technician Program at Chattanooga State produces highly-skilled and certified pharmacy technicians who are capable of assisting pharmacists within Chattanooga and the wider community. Students must sign up to sit the PTCB to become nationally certified. In order to equip students with the broad knowledge needed for practice, instructors teach students how to fill prescription, prepare medications, constitute IV preparations, and assist customers in the pharmacy setting. The program is accredited by the American Society of Health System Pharmacists and includes theory and practical instruction. In the classroom, students learn pharmacology and therapeutics, pharmacy calculations, sterile and non-sterile compounding, inventory management, pharmacy law and ethics, introduction to pharmacy practice, and pharmacy practice. After completion of the first two semesters, students will participate in a pharmacy practice rotation in the summer (final) semester. The duration of the program is 12 months. Students may need to complete prerequisite courses – anatomy and physiology and introduction to human biology. Interested persons must apply for admission to the college before applying for the pharmacy technician program. Following admission, the prospective students must complete the prerequisite courses, demonstrate college-level English and Reading skills through ACT, SAT scores or college entrance test, maintain a minimum C or better in college courses, meet the math requirements, and provide 2 reference letters. Candidates must attend a program orientation before registering for the program. Admission is based on a first come first serve basis. The class size is limited to 25 students. The total cost of attendance for resident students is $6,160.90 including tuition, physical exam, CPR certification, background check, uniforms, textbooks, PPD skin test, and liability insurance. Virginia College’s pharmacy technician prepares students for employment in the growing field of healthcare. Students complete the program in just 15 months and are prepared for success on the PTCB exam for certification as a pharmacy technician. The curriculum facilities a lot of hands-on skills development such as creating prescriptions labels, keeping inventory, sterilizing equipment, transcribing doctors’ orders, and interacting with patients. In addition to informative lectures, students will participate in labs and a pharmacy externship to gain real-world experience. Students must complete a total of 60 credit hours to graduate from the program, Course topics include disease prevention, sterile compounding , disease prevention, aseptic techniques, institutional pharmacy, community pharmacy, pharmacy law and medication safety, pharmacological calculations, customer service, pharmacy terminology and customer service. Applicants must have a high school diploma or GED, sign the attestation at enrollment, meet with an administration representative for a personal interview, undergo a criminal background check, provide documentation of the required health examination, and be able to speak, write and read English fluently. Tuition for the program is $23,560.